The mansion is located in San Jose, California. 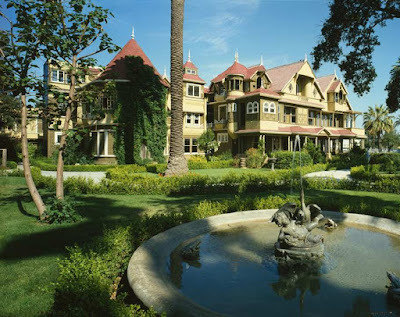 It was the personal residence of Sarah Winchester. She was the widow of firearm magnate William Winchester. The Queen Anne Style Victorian mansion is renowned for its size, its architectural curiosities, and its lack of a master building plan. Since its construction in 1884, the property and mansion are claimed by many to be haunted by the ghosts of those killed with Winchester rifles. The Winchester Mystery House is called one of the “Most Haunted Places in the World” by Time magazine. It draws international paranormal investigators and psychics. Both employees and visitors have experienced the unexplained and the ghostly. Folklore says that after a series of tragic family deaths, Sarah consulted a Boston Medium. The medium told Sarah that she should leave her home in New Haven and travel west. Once there, she must continually build a home for herself and the spirits of people who had fallen victim to Winchester rifles. The medium claimed to have been channeling the spirit of William Winchester when she told Sarah this information. After that, Sarah came to believe that her family and fortune were haunted by ghosts. 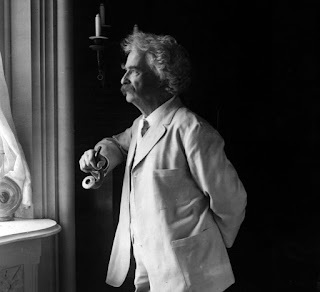 Under Sarah's day-to-day guidance, construction on the mansion proceeded around the clock without interruption (until her death on September 5, 1922). Upon her death, all work immediately ceased. One of the ghosts frequently seen is a man with jet-black hair. He is believed to have been a former handyman. He is usually seen repairing the fireplace in the ballroom or pushing a wheelbarrow down a long and dark hallway. Early one morning, a tradesman was working on a section with several fireplaces known as the Hall of Fires. This was before the tours started for the day. So, the house was very quiet. He was working up on a ladder when he felt someone tap him on the back. He turned to ask what the person wanted. No one was there. He convinced himself that he had imagined the tap and returned to work. Next, someone pushed against his back. He had enough. He got off the ladder and left the area. A tour guide led visitors to the Daisy Bedroom. This is the room where Sarah Winchester had been trapped during the 1906 quake. The guide was about to begin her narration when a very clear “sigh” came from the small hallway outside the bedroom door. She thought that one of the guests had fallen behind. She turned and ask the person to enter the room. No one came in. She stepped into the hallway to check. As her eyes adjusted to the darkened hallway, she observed the shape of a small person, slowly emerged and glide around the corner. Quickly, she follows the form around the corner. She saw nothing; but, she heard another deep sigh. She believes that is was Sarah Winchester. She thinks Sarah was upset to find people in her favorite bedroom. The House of Death at 14 West 10th Street was built in the 1850s and was home to many of New York's most elite citizens. The author Mark Twain owned this townhouse (now divided into ten apartments) from 1900 to 1901. He is known to occasionally return for a ghostly visit. The House of Death is located in New York's City’s Greenwich Village (Washington Square Park) neighborhood. The house's haunted history is documented in author and actress Jan Bryant Bartell's book "Spindrift Spray from a Psychic Sea." According to Bartell, the location is haunted by twenty-two ghost, including a six-year-old girl beaten to death by her father. Why the high number of ghosts? According to some, it is because the house is cursed and it curses those who live there. Shortly after finishing her book, about her paranormal experiences in the home, Jan Bryant Bartell mysteriously died. 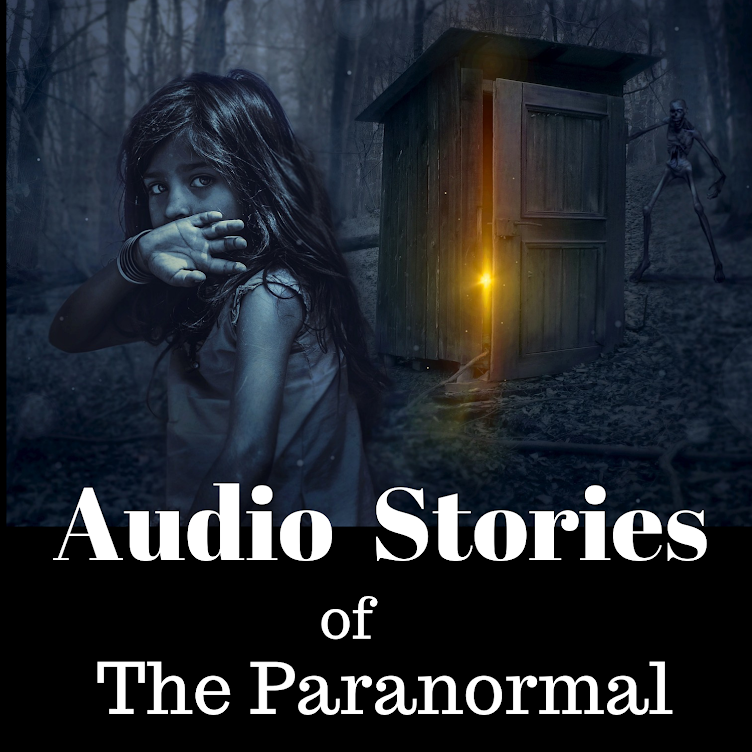 Paranormal activity has been going on since the early 1900s when Bartell and her husband first moved into their third-floor apartment. She said that the activity started out very small with some footsteps that she felt were following her. As time went on, the activity became more noticeable. Bartell started to see shadow figures in the house, furniture move on its own and the sound of crashing glass. She also smelled odors that she described as "rotting miasma." It intense. They ended up calling in a medium who believed there was a presence of something dead under the floorboards. The medium thought it could be one of three things: a young girl with curly hair, blue eyes and a tiny nose; an aborted child or a small gray cat. She learned that the house was haunted by several different ghosts. She and her husband no longer felt safe. So, they eventually moved out. Multiple inhabitants have claimed to see Samuel Clemens (aka, Mark Twain) in his classic white suit, walking along the hallways and passing through doorways on the first floor and near staircases. 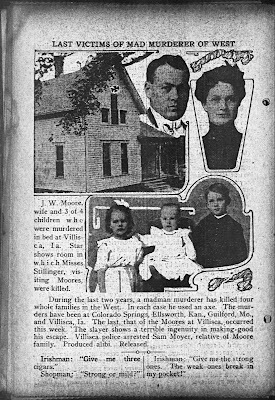 In the 1930s, a mother and daughter reported an encounter with Clemens. His ghost was sitting near a first-floor window and he said to them, "My name is Clemens and I has a problem here I gotta settle." Before the women could respond, he disappeared. In the late 1980s, Criminal Defense Attorney Joel Steinberg beat then killed his 6-year-old, illegally adopted, daughter. 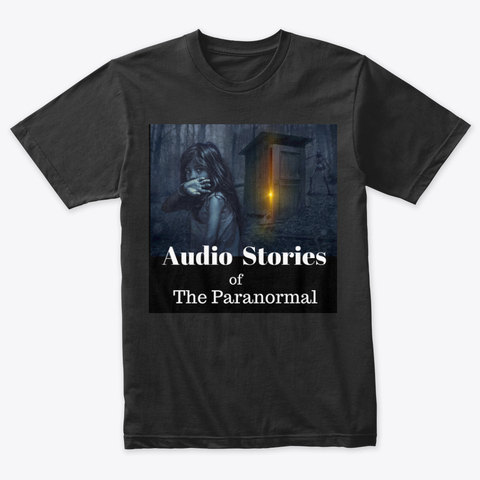 In the 2000s paranormal investigators had an experience with a lady in white. In 2012, a resident observed women in long gowns going from room to room in their apartment and reported some flickering lights. Warning: This is a private residence. Use discretion. In the 1960s, the U.S. Commerce Department classified the Whaley House as haunted. In 2005, LIFE magazine called Whaley House "the most haunted house in America. 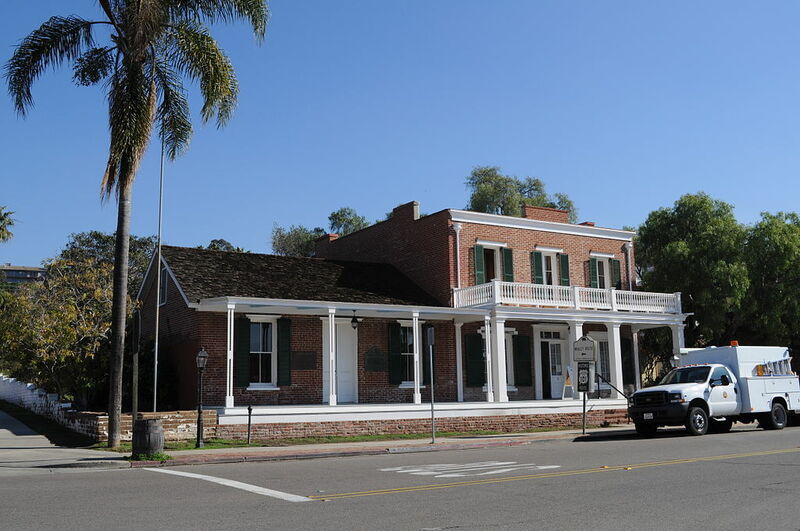 The Whaley House is located in the Old Town neighborhood of San Diego, California. It is a two-story Greek revival house designed by Thomas Whaley. It was completed in 1857. In addition to being the former home of the Whaley Family, The home has served as Whaley's general store, a granary, the County Court House, a commercial theater, various businesses, a ballroom, a billiard hall, a school, and a polling place. The ground on which it is built served as the location of several hanging and a small graveyard. The earliest documented ghost is "Yankee Jim." James (aka Santiago) Robinson. He was convicted of attempted grand larceny in San Diego in 1852, and hanged on a gallows off the back of a wagon on the site where the house now stands. Thomas Whaley had been a spectator at the execution, he did not let it dissuade him from buying the property a few years later and building a home for his family there. The San Diego Union a local newspaper reported that soon after the couple and their children moved in heavy footsteps were heard moving about the house. The Whaley’s described them as sounding as though they were made by the boots of a large man. He came to the conclusion that these unexplained footfalls were made by Yankee Jim Robinson. Another source states that Lillian Whaley, the Whaley’s' youngest daughter who lived in the house until 1953, "had been convinced the ghost of "Yankee Jim" haunted the Old House. A visitor to the museum in 1962 mentioned that the ghost had driven her family from their visit there in 1912. Her mother was unnerved by the phantom’s walking noise and the strange way the windows unlatched and flew up. Many visitors to the house have reported encountering Thomas Whaley himself. The late June Reading, former curator of the museum, said, "We had a little girl perhaps 5 or 6 years old who waved to a man she said was standing in the parlor. We couldn't see him. Many adults have reported seeing the apparition of Mr. Whaley, usually on the upper landing. One woman said he was clad in a frock coat and pantaloons, his face was turned away from her, and so she could not make it out. Suddenly, he faded away. The specter of Anna Whaley has also been reported, usually in the downstairs rooms or in the garden. In 1964, Mrs. Whaley's spirit appeared to Regis Philbin. He noticed something filmy white on the wall. It looked like an apparition of some kind. He turned on his flashlight to see what it was and nothing was there but a portrait of Anna Whaley. The night tour is the prime time to encounter ghosts. However, day or night something paranormal events occur.